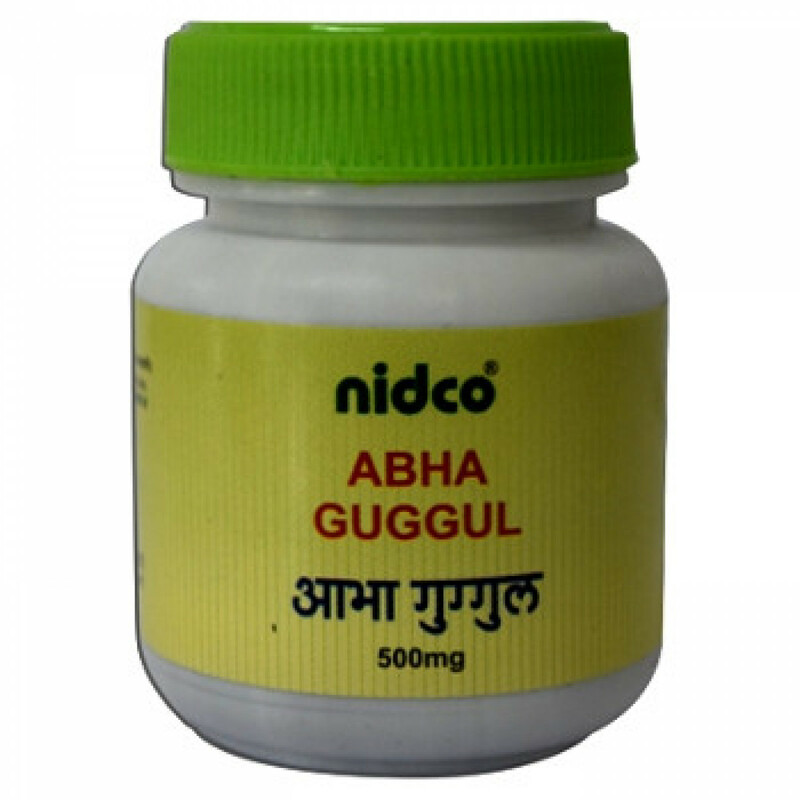 Abha guggul - medicine for the treatment of fractures, brittle bones, osteoporosis. This medication accelerates the healing of fractures, increase bone density, pain reliever and reduces inflammation. In addition, this medicine is indicated in inflammatory processes of the joints, arthritis, spondylosis, back pain. Indications: fractures, bone fragility, osteoporosis, arthritis, spondylosis, back pain. Content: Abha, Ashwagandha, Hapusha, Guduchi, Shatavari, Gokshura, Vraddhadaruka, Rasna, Satahva, Shati, Yavani, Sunthi, Guggul Has, Ghrit. Dosage: 2 tablets 2 times daily or as directed by your doctor. Original name: Abha guggul Nidco. In our store You can buy authentic Abha guggul Nidco at the best price!